NEW DELHI : The Indian government has announced its decision to set up six new plastic parks as part of the ongoing five-year plan which runs from 2012-2017. This is in addition to the four parks which are already under construction, thus making the total number to ten. 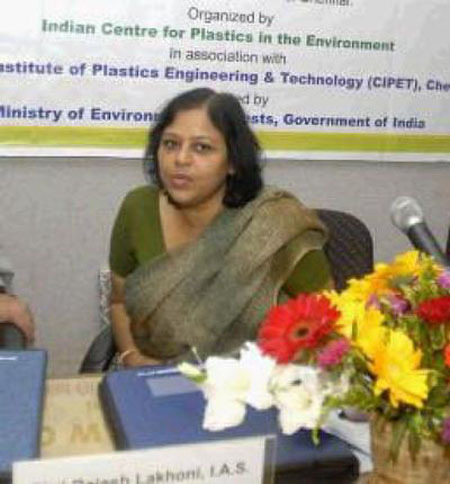 Announcing the decision during a seminar held in North India, the Joint Secretary for Petrochemicals- Neelkamal Darbari stated that the newly proposed plastic parks would be set up in the states of Punjab, Haryana, Rajasthan, UP, Odisha and Andhra Pradesh. The works on four parks in Madhya Pradesh, Tamil Nadu, Odisha and Assam are already underway and are supposed to finish within two years. Plastic parks are aimed at bringing together plastic reprocessing units, recycling units and waste management systems under one roof. The Indian government would provide grant funding up to 50% of the project cost subject to a ceiling of Rs. 40 crore per project. The remaining contribution in the SPV will be from the State Government or State Industrial Development Corporation or similar agencies of State Government, beneficiary industries and loan from financial Institutions. The estimated yearly consumption of plastic including PE, PP and PVC is nearly 9 million tonne in India. Almost 25% of the total plastic is being imported from other countries, especially from Asian countries such as Taiwan and China. As per statistics, the per capita plastic consumption in the country is around 7-8 kilograms, significantly lower when compared to 95 kg in USA and 65 kg in Europe.